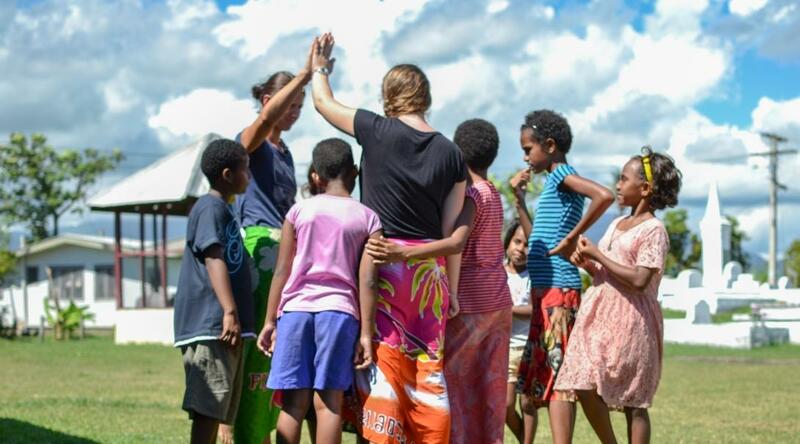 Join our Childcare & Pacific Island Village Project in Fiji and support the community while helping children learn through play. This is a great way for you to add experience to your CV and develop your teamwork and leadership skills, which can help your future career. You’ll also help make schools and care centres places that encourage learning. This could involve painting, repairing desks, building playground equipment, or maintaining a vegetable garden. What you do depends on the school’s needs at the time. 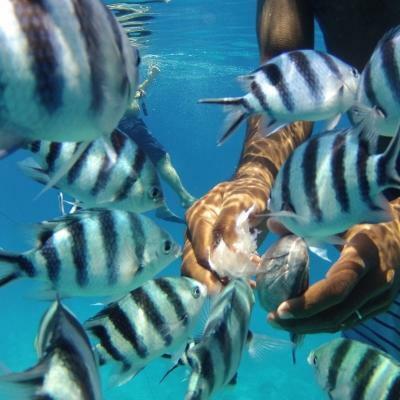 You’ll be based in a traditional Fijian village, close to the large town of Nadi. This project is open to teenagers from all over the world, so you’ll make lots of new friends. 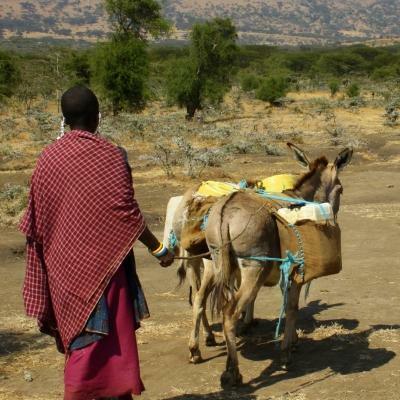 Our staff are there to support and guide you while you learn about the local culture and explore the country. 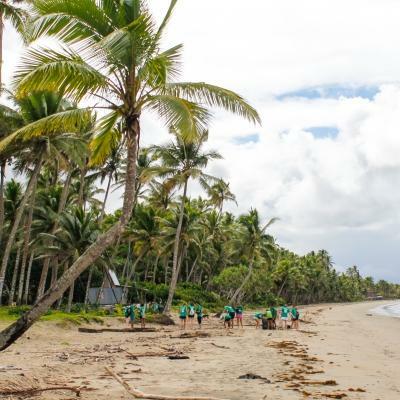 Is volunteer community work in Fiji for teenagers right for me? This project is perfect for teenagers who enjoy working with children. You’ll also do community work, and use your own two hands to paint a classroom or build playground equipment. This is a fantastic opportunity to gain childcare experience. You’ll also be able to add new skills like teamwork and leadership to your CV. You don’t need any qualifications or experience to join. This project is specifically designed for teenagers, and Projects Abroad staff are there to support and guide you at all times. This trip takes place over fixed dates, and you can choose the one that best fits your schedule. 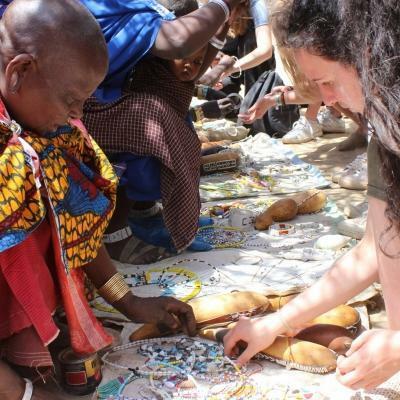 We’ve also organised various cultural and social events for your group, so you’ll have plenty to keep you busy. Our staff will also take you on a sightseeing trip over the weekend. 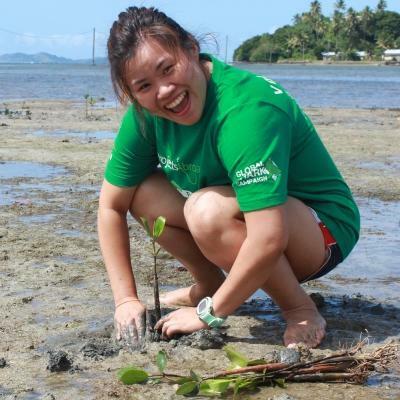 What will I do as a volunteer in Fiji? 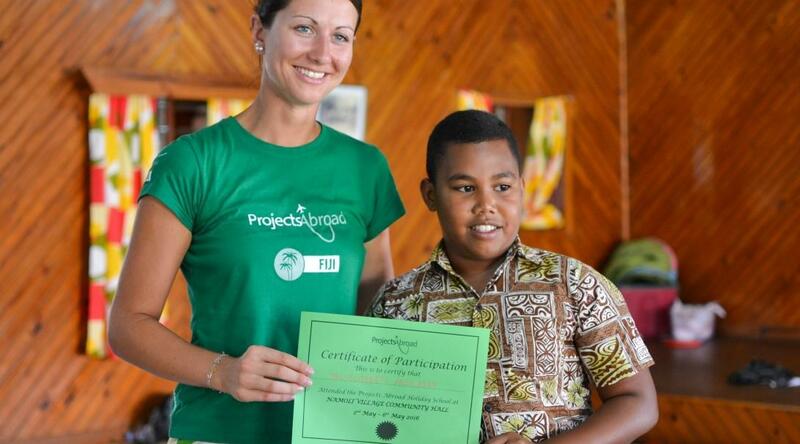 As a volunteer in Fiji, most of your time will be spent working in the local kindergarten or primary school. Here, you will help plan and run educational activities and games for the children. This would include playing ball games to help improve hand-eye coordination and doing crafts to help encourage creativity. By doing this, you will assist local teachers in creating an environment where children can learn important lessons through play. Even though most of your time will be spent with children, you’ll also do renovation and maintenance work in the community. The kind of work you do will depend greatly on what the need in the community is at the time, but you can definitely expect to get your hands dirty and go home with some paint splatters on your clothes! There is always a need for educational resources such as posters and flashcards at our partner care centres and schools. You and your group will have the time to get creative and make these for your placement. You may also paint classrooms or help construct playground equipment. 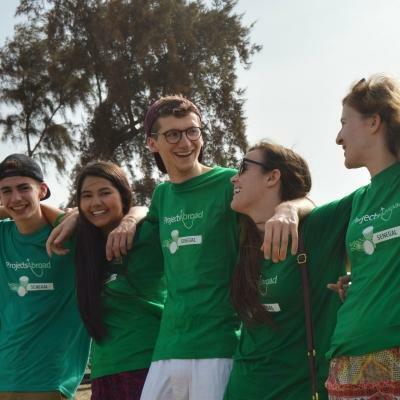 You’ll be volunteering with teenagers from around the world, all sharing in this exciting adventure. There will be plenty of time for you to get to know your new friends during social and cultural activities, as well as weekend trips. Our staff will be there to supervise you throughout these events. You will be based on Viti Levu, Fiji’s main island. You will live in a small village close to the large town of Nadi, where you will be able to experience traditional Fijian life. You will live with a local host family in the village and get involved in all aspects of traditional islander culture and daily life. As a volunteer, your time will be split between working at the local school or kindergarten and doing community projects. These might include painting classrooms, building playgrounds, or even helping with farming or gardening. There are two main aims of this project: to immerse yourself in a different culture and lend a helping hand at a local kindergarten or school. Teachers in kindergartens and schools struggle to meet the needs of children who are falling behind in their development. Overcrowded classes make it impossible for teachers to monitor children closely, and many kids struggle with their education. On top of this, schools are often underfunded and lack the resources needed to make learning fun and engaging. As part of your volunteer work, you will provide support for children’s overall development. You’ll also help make care centres, kindergartens, and schools brighter, more welcoming places. You’ll become part of our long-term efforts to promote early childhood development and improve literacy. Join this Childcare & Pacific Island Village Project designed specifically for teenagers and help support a local community while experiencing a more traditional way of life.